...and there is still something missing! to maintain health and well-being ...and most of us are deficient. Light is an essential nutrient. We spend too much time indoors,under the wrong kinds of lights that deplete us. Nourish your body, mind and spirit with DreamSpa . the therapeutic use of light to activate healing enzymes stimulating cellular and molecular repair and regeneration. Worldwide research and technological development has shown numerous benefits. No longer have the energy and focus you used to? Feeling stressed, overwhelmed, and tired? Asking yourself: "does it really have to be like this"? Want to optimize how you look and feel? Enhance your foundational health and well-being? Enjoy greater clarity, focus and creativity? ...then the DREAMSPA SYSTEM may just be perfect for you! 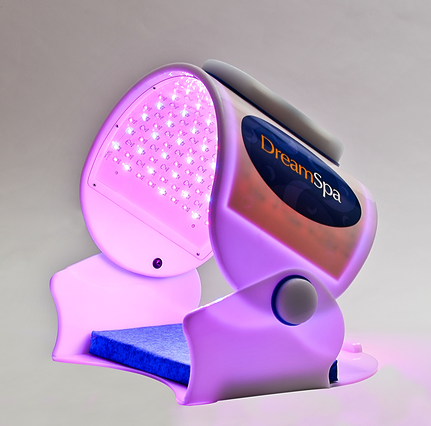 The DreamSpa Light System is based on over 40 years of research in the fields of biophotonics, tissue optics, cellular communication, phototherapy, and anti-aging. 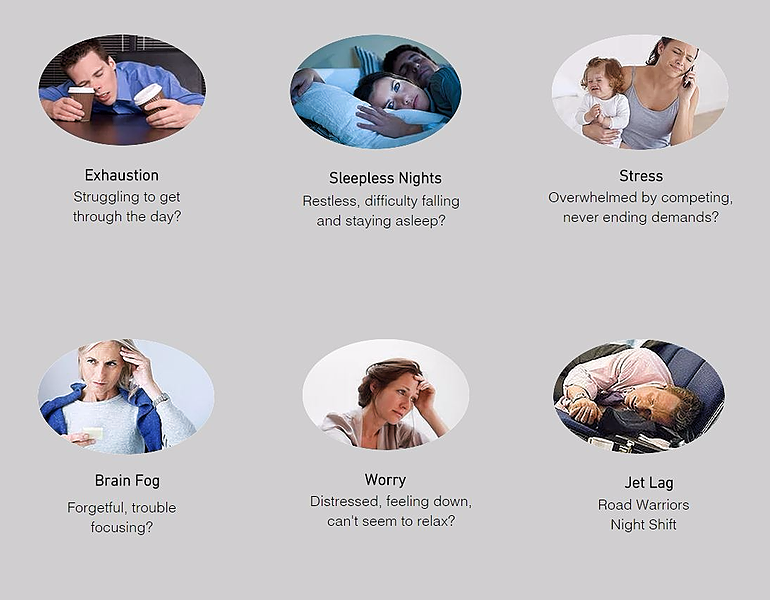 Providing a safe, natural and non-invasive solution for the effects of stress and aging. Experience deep rest and renewal as you recharge your body with light. Each session feels like a delicious power nap. Emerge relaxed, refreshed and re-energized! Recharge your body like a battery and reboot your brain. whenever you want. With the convenience, comfort and ease of home or office use. 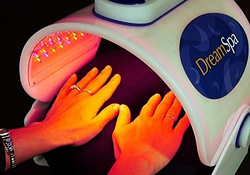 "DreamSpa light is my favorite biophotonic device, it provides the essential missing nutrient that our mitochondria need to functional optimally – bioactive light. I have used it personally and in my Grow a New Body program, and highly recommend it." For many years, Alberto trained with the medicine people of the Amazon. He shares the experience of infinity and its ability to heal and transform us, to free us from the chains that keep us fettered to illness, old age and disease. 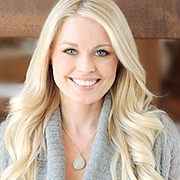 Nutrition expert for New Beauty Magazine, The Doctors, The Dr. Phil Show, and The Today Show, and featured in Access Hollywood, E! News Live, Harper’s Bazaar, and Shape Magazine. Cynthia is the founder of the Institute of Transformational Nutrition -the only nutrition certification program combining science, psychology, spirituality, and coaching to help people create permanent changes. "My experience has been a steady regeneration of my whole body. My hair is thick and healthy, my nails look amazing, and my skin is moist. All signs of good health." 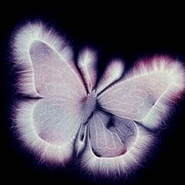 The energy effect of a DreamSpa session captured with true Kirlian photography. 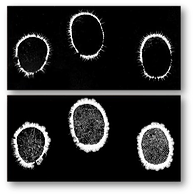 Before the session, low body energy is evident in this Kirlian photograph of fingertips. After the session the body is clearly re-energized. 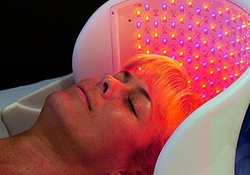 Brainwave Entrancement® is DreamSpa's innovation combining brain rebooting with light therapy. 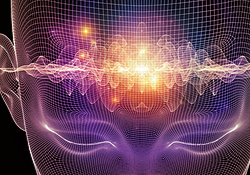 Experience 5hz Theta, the "Miracle Zone" where the brain can physiologically repair itself. 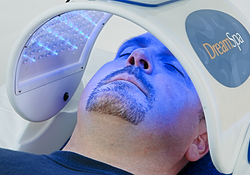 Enjoy profound relaxation as light therapy naturally energizes your body. 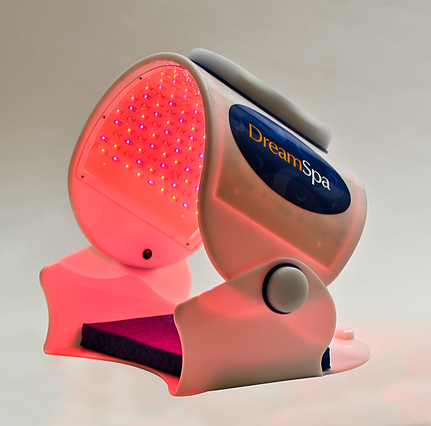 DreamSpa photons are absorbed through the skin, eyes and acupuncture points. The fiber optic properties of connective tissue conduct light deep into the tissues and the cells. 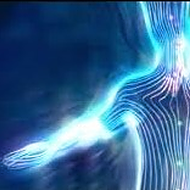 Certain wavelengths of light are used by the body to activate metabolic functions - notably to create energy. Biophotonics boasts over 30 years of scientific research and technological development by NASA, NIH, the National Science Foundation and research centers around the world. NASA utilizes light therapy to counteract the determental effects of zero gravity on the astronauts including loss of bone density and muscle mass, disruption of sleep patterns, difficulty healing. visible and felt effects of aging." 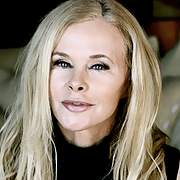 Greta Blackburn is the founder and editor of Ms. 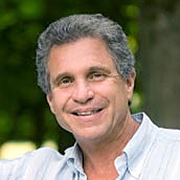 Fitness Magazine, and co-author of “The Longevity Edge” and "Lifebalance". She features the DreamSpa in her Boomer Basics column. Greta is the founder and the director of FITCAMPS, training symposiums for fitness professionals and other men and women from all over the world. 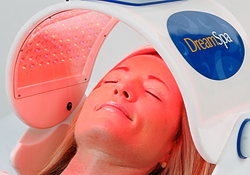 Dr Galitzer utilizes the DreamSpa in his Beverly Hills practice. 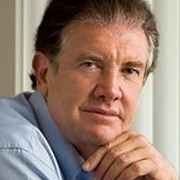 He is a nationally recognized expert in complementary and anti-aging medicine and the Medical Director of The American Health Institute. Treatments offered at the Institute’s clinic are aimed to first optimize internal health, and then visibly enhance the client. 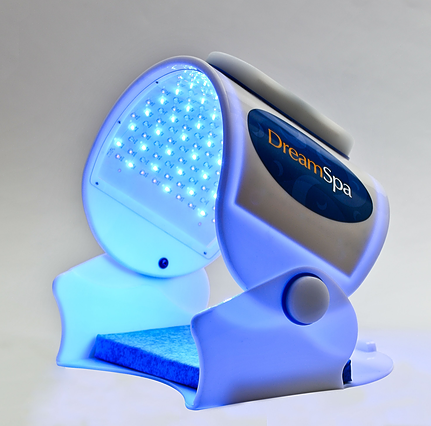 "My DreamSpa is my go-to life support. Every afternoon, I use the Blue Calm and nap for 30 minutes. 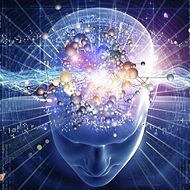 I awaken refreshed and clear-headed, able to move thru the rest of the afternoon fully energized, centered and vital. My husband uses it in the evenings after a long commute home & full day's work. His creativity & vitality have increased significantly. Having access to this life renewing technology in our own home has been invaluable"
Try the DreamSpa risk free for 90 days. that we backed it with a full 90 day money back guarantee. We will even pay for return shipping! The 90 day period starts with the day you receive your DreamSpa. Treatment Area 17" x 9"
Portable 12" x 12"x 12"
7 lbs / 13" x 13" x 13"
15 lbs / 17" x 17" x 17"
technological advances, and delivering profound benefits along with an amazing user experience. 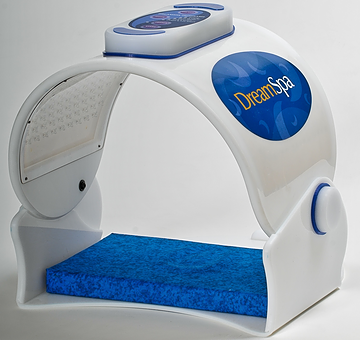 DreamSpa is made in America using the highest manufacturing standards. 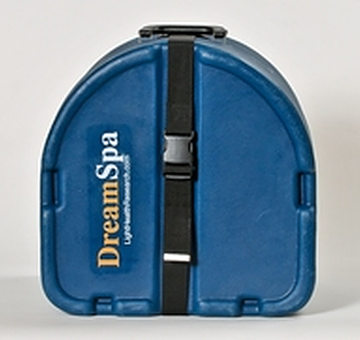 DreamSpas are made to order in the U.S.in limited quantities. Don't miss out on the most advanced home light therapy available. DreamSpa often sells out! For orders shipped outside of the United States: your purchase may be subject to the customs fees and import duties of the country to which your order is shipped. These charges are always the recipient's responsibility. At Light Health Research, we are committed to the highest manufacturing standards and excellence in quality and reliability. We love sharing this technology with others: everyone likes to feel their best. And we love using it. We personally know how incredible the benefits and the experience can be and like many of our customers we say "I'm in love with the DreamSpa and feeling so good!" Our number one recommendation to customers is: use it, use it, use it....daily if you can or at least 2-3 times a week. The DreamSpa is designed to to be enjoyed by you and to benefit you over a lifetime. Results are progressive and cumulative with regular use. Some benefits may be obvious right away. You may notice an immediate improvement in your energy, your clarity, your sleep, your ability to deeply relax, that you look and feel younger. For others it may be initially subtle. Regardless, the most important changes are taking place at a very deep, cellular and molecular level. Both of us continue to see and experience beneficial changes even after years of enjoying this technology. You may be like us, and years later continue to be wowed by how great you look and feel. We wish you a full, vibrant life! Don't wait! Reserve your DreamSpa today. 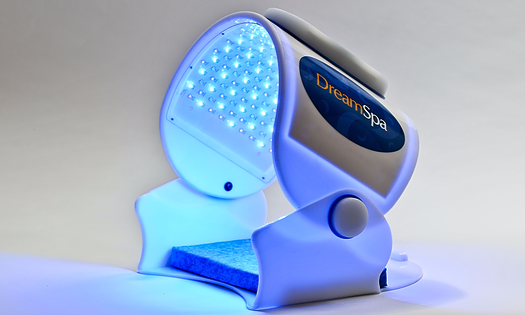 Your 90 days starts with the day your DreamSpa is delivered. * FDA Disclaimer: The products and the claims made about specific products have not been evaluated by the United States Food and Drug Administration and are not approved to diagnose, treat, cure or prevent disease. The information provided herein or any information contained on or in any product label or packaging is for informational purposes only and is not intended as a substitute for medical advice from a physician or other health care professional. Do not use this information for diagnosis or treatment of any health problem or for prescription of any medication or other treatment. FDA Wellness Guidelines for Low Risk Devices: The wellness benefits specifically listed for the DreamSpa are based on the FDA's Guidelines for Low Risk Wellness Devices. 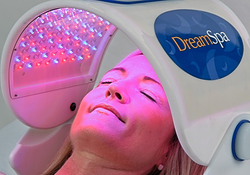 References to other studies and research does not necessarily apply to the DreamSpa. Buyers must make their own informed decisions.